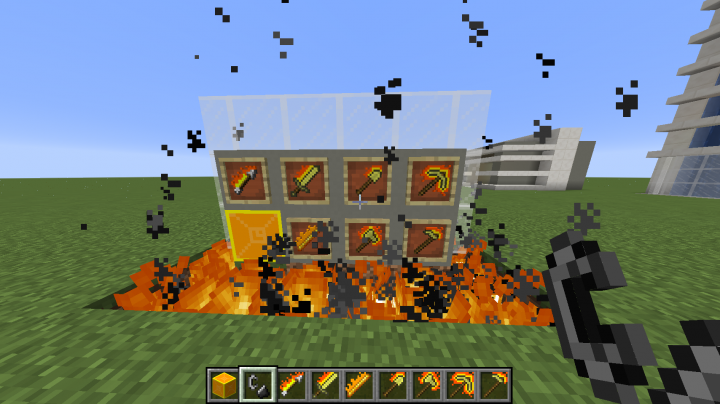 This resource pack adds flames and fire to a lot of items. Also, many items have been frozen. Use the all-new ice weapons against the fire weapons! 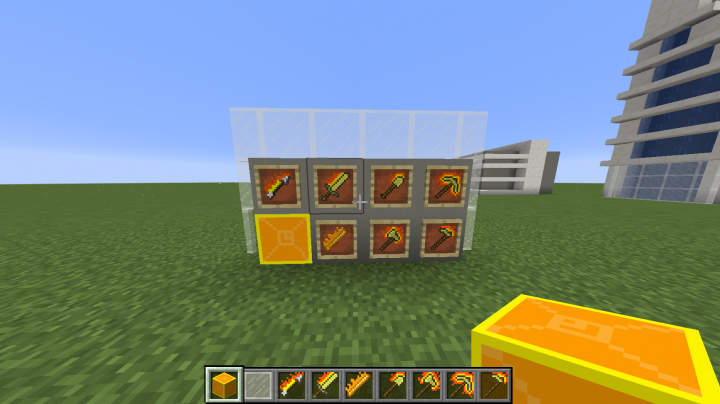 Gold stuff is extremely flammable, so that has lit on fire, along with arrows and blaze rods. Diamond stuff has frozen, along with lapis lazuli. 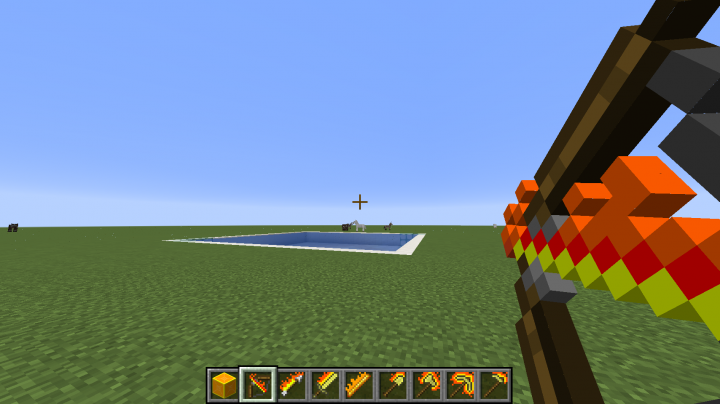 Also, pulling a bow back the farthest you can makes the arrow in the bow light on fire. Also, command blocks have been re-textured for my server. P.S. Creepers have red blue headbands. 3. Locate your .minecraft folder. 4. Put the folder that came from the .zip file into the resource pack folder. 5. Run Minecraft and enjoy! Get the Ice Warden Skin!